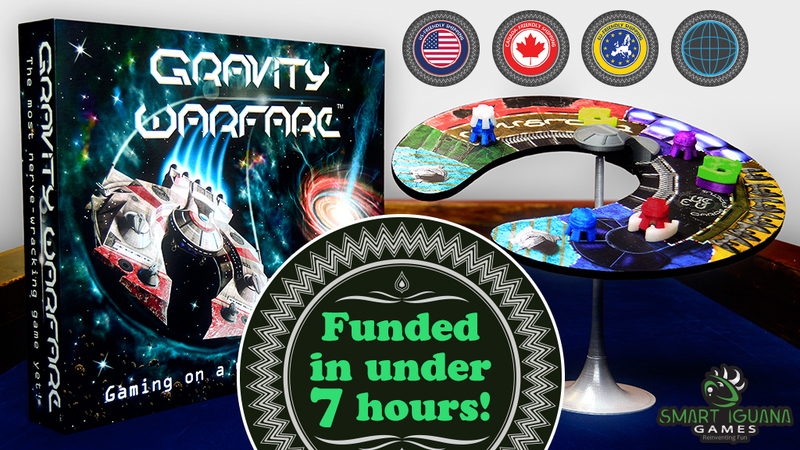 It took only under 7 hours for Gravity Warfare project to be fully funded on Kickstarter! Please, check the crowdfunding page HERE. Today I have pleasure to invite you to an interview with the creator and designer of that project – Dan Machado. Michal: Please tell us a little about yourself Dan. What do you do for a living, what games do you play? Dan: I am an entrepreneur and I do this for a living now. After we found this gem of a game after so many years of storage, we decided to dive into the board game business all the way. This is what we do now. We did have careers before, my dad was an electronic engineer and he worked for several oil companies such as PDVSA, Total and ExxonMobil. 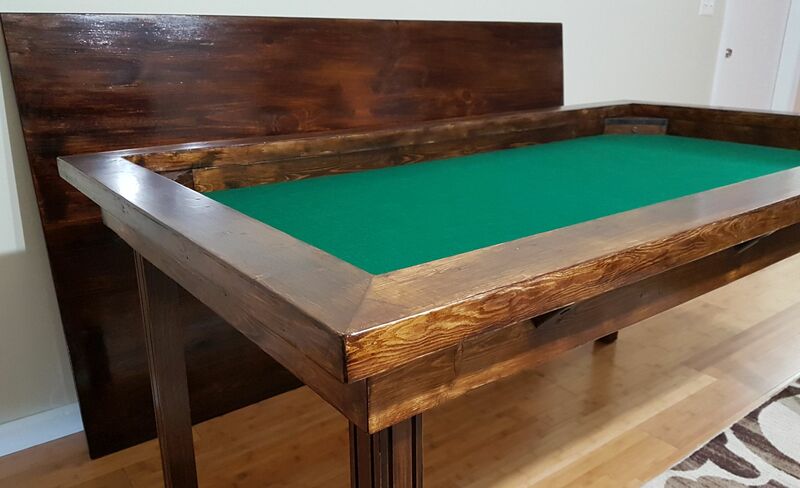 He also always had a passion for carpentry and woodwork, almost every piece of furniture and toys we’ve always had growing up was made by him, and sometimes we helped. He and my mother had a small business making art and wooden educational toys for children and schools. I am a veteran. I served 6 years in the Military (Navy) as a Mineman (Minemen at sea aboard minesweepers assist in the detection and neutralization of underwater mines. Ashore, minemen are technicians who test, assemble and maintain underwater explosive devices (mines). After my six-year duty, I got out and studied Criminal Justice and Small Business Management. I was much more interested in making my own way, so the first business I went into was property management. I had a couple of properties that I rented out and that went well for about 3 years. But then this old board game was brought to light and I decided to liquidate and invest in this business with my family, creating Smart Iguana Games, LLC. I love zombie games, games of bluffing, spies and deception, as well as civilization building and war games. Michal: Now, as for the game, what inspired “Gravity Warfare”? Dan: Gravity Warfare™ was inspired by a dream, my dad says. Back in the early 2000’s he had a dream, a picture in his head about the game and he made the first wooden prototype that day at the shop. We played that wooden version back then when we were kids. It was very entertaining. Michal: What are the key components of the game? Dan: The game works with a balancing mechanism. You have a base, on which the platform rests making the platform balanced and stable. What’s cool about our game is that the platform never falls, you can spin it, tilt all the way, and it won’t fall. Unless you rage and smack it down of course. Michal: Can you elaborate a little about the game mechanics? 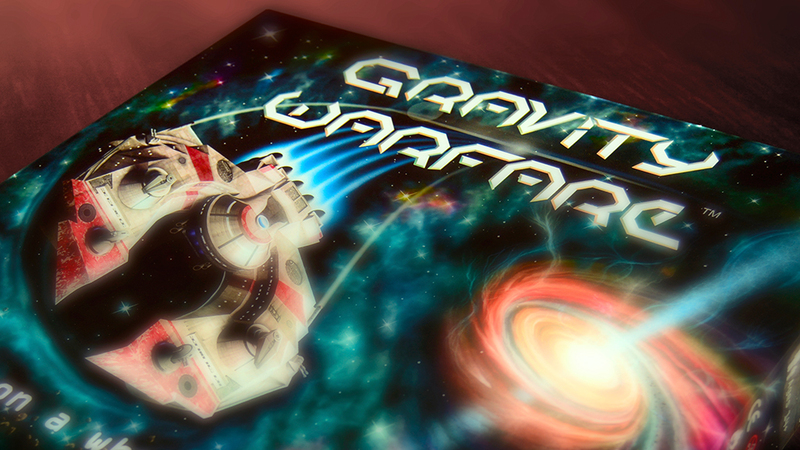 Dan: Gravity Warfare™ is a dexterity and strategy game with a take-that mechanic. The goal is for you to get rid of all your pieces, and your secondary goal is to keep other players for playing all of theirs. The way you do that is by giving them challenges (cards). 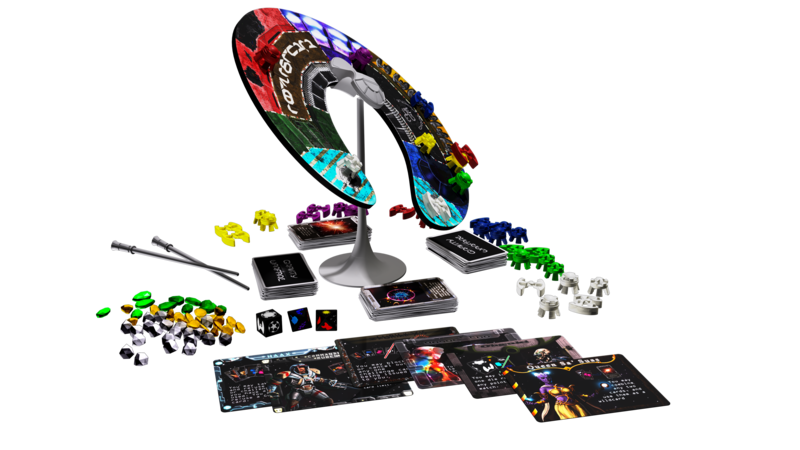 After you roll the dice to play your turn, all other players now have the opportunity to give you a challenge from their hand to make your turn much harder to complete. Such as spinning the board and having to play with chopsticks. You also have the player troops of game pieces, which players place on the board depending on what the dice tells you. These pieces have different weights which have different effects on the board. Michal: How do players determine victory? Dan: The first player to play every piece they have in front of them, wins the match, they get some points and a new match is started. You usually go to 20-30 points and the first person to reach that wins the game (finishing the match). Or, you can play best out of 2-3 matches, and the person with the most points at the end of the last match wins the game. However, if you make 4 or more pieces fall off the platform you lose the match, lose 2 points and the rest of the players score the game depending on how many pieces the have left in front of them. The person with the least number of pieces left to play receives the most points, and so on. Michal: Now, as for “Gravity Warfare” itself, what makes this game unique? Dan: Gravity Warfare™ is unique in the game play, the adjustable balancing mechanism and design of the pieces. It’s not your standard dexterity game. We decided to go the extra mile and add depth to the game and strategy with the cards, which makes the game really hectic and cut-throat often. My dad designed the adjustable balancing component of the game. The platform can be balanced for every game to an almost perfect equilibrium, and it can tilt all the way down (almost straight down) and not fall. There are 3 different types of game pieces and they have all been designed to stack on top of each other, allowing for harder challenges to be implemented in the game. Michal: Regarding Kickstarter campaign itself – what did you learn and what advice you can give to anybody looking into running Kickstarter campaign? Make a campaign of something for $5, with a goal of $500 – $1000, something small, and as you progress through the campaign and fulfill it, you’ll have much more experience to launch the real campaign. (Make sure you have to fulfill something, otherwise you will be missing the shipping experience). I will be making an article after the campaign ends about all the ins and outs of a/the kickstarter campaign. Michal: What are the future plans for you? Any new designs / games in preparation? Dan: We are so excited about the turn out of the Kickstarter and depending on how much more successful it is, we will be launching another campaign with a special edition, or deluxe edition along with the Jumbo version of the game if it has enough demand. We have many game titles at the moment, 19 to be exact. These are games that we’ve come up with and put through our development process to be able to write exactly how it will work, mechanics, victory conditions, etc. However, we have to pick the best ones to put forward next to fully develop, prototype and bring to the public. We have 5 that are in different prototype stages that we are really excited about. Michal: Thank you very much for comprehensive information and good luck in your current and future plans! Well, if you are still not convinced, make sure that you visit the Kickstarter webpage HERE and familiarize further with the project. It is worth it! Next Next post: [ENG] It is time to start vacations!